A foundation creates a stable base upon which to lay your new mattress. Most foundations that we use with out beds are designed differently than a simple box spring. 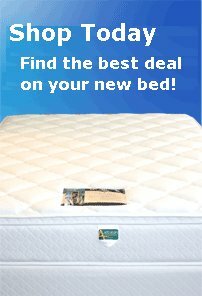 We recommend you purchase a new foundation with all new mattresses. Depending on the foundation model, a foundation will either be a free standing bed support or it will need to lay on top of a traditinoal bed frame. Chat with us for details about your foundation needs.